Reinhard König studied architecture and urban planning. He completed his PhD thesis in 2009 at the University of Karlsruhe. Dr. König has worked as a research assistant and appointed Interim Professor of the Chair for Computer Science in Architecture at Bauhaus-University Weimar. He heads research projects on the complexity of urban systems and societies, the understanding of cities by means of agent based models and cellular automata as well as the development of evolutionary design methods. 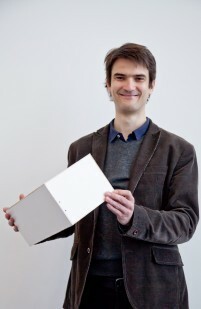 From 2013 Reinhard König works at the Chair of Information Architecture, ETH Zurich. In 2014 Dr. König was guest professor at the Technical University Munich. His current research interests are applicability of multi-criteria optimisation techniques for design problems and the development of computational analysis methods for spatial configurations. Results from these research activities are transferred into planning software of the company DecodingSpaces. From 2015 Dr. König heads the Junior-Professorship for Computational Architecture at Bauhaus-University Weimar, and acts as Co-PI at the Future Cities Lab in Singapore, where he focus on Cognitive Design Computing. see also Academia, ResearchGate or Google Scholar.